Transition Tavistock seeks to bring our community together, sharing knowledge and practical ideas to use less energy and resources, grow more of our own food, and supply and buy more locally. Our goal is to help build a strong and self-supporting community for Tavistock and the surrounding areas, seizing the opportunity to bring about a more sustainable and better future. 'Roots to Transition' is restoring the Meadow's Rosewalk bringing edible growing into the centre of Tavistock. We have plans to expand this further! 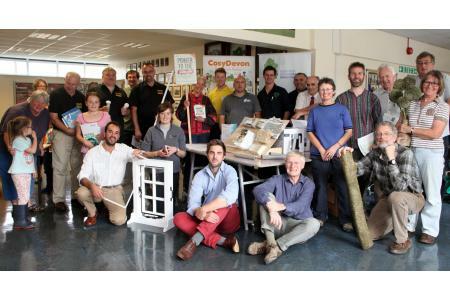 Our 'Energy Savers' work includes practical advice, support and workshops to enable local energy reduction and generation; a network of Open Homes offers learning between householders and practitioners; our EcoFairs enable discussions with local tradespeople and experts. Our Local Economic Blueprint is evaluating the local food and energy economies.